Malik Al-Abdeh, a second-generation Syrian émigré living in London and long-time oppositionist, recalls his reaction to the outbreak of the Syrian revolution two years ago. Speaking from first-hand experience, he bares the growing pains of the Syrian opposition abroad. Friday, March 18, 2011 changed all that. As I returned to my office on that day after performing prayers at a community center in south London, I caught a glimpse of the first grainy images on YouTube of a mass demonstration in Dera’a, a city in the southern Hawran region of Syria. A crowd had congregated outside the historic Omari Mosque and was chanting, “Syria’s protector [Assad] is its thief!” An hour later, more images were uploaded, this time showing riot police using tear gas and water cannons to disperse the crowd. Then there was shooting. One video showed several police officers dragging away the limp corpse of a young man. The Abazeid clan of Dera’a cared little for the interests of the opposition in exile. It was aggrieved at the arrest of some of its teenagers who, inspired by satellite television images of Tunisia and Egypt, scribbled anti-regime graffiti on the walls of their school. Repeated attempts to negotiate their release through the intercession of local notables were rudely rebuffed by the governor and the local security chief. My undercover reporter in Dera’a kept me fully informed of such developments. On March 9, 2011 he managed to interview a leading activist from the city, who confidently proclaimed that the revolution “had already begun.” Information came in from several villages in the southern province suggesting that isolated police stations were being vacated in expectation of looming trouble. The mood in the southern province grew darker as angry young men talked of revolt. International patronage, which could have evened the odds, was hard to come by. Although sympathetic, the moderate Arab camp was loath to make any direct challenge to Assad, while the West’s obsession with regional stability meant that the opposition were politely listened to but duly ignored. No matter what persuasive arguments the opposition mustered, it was almost always trumped by the massive gap in power between the exiled handful of expats and the Ba’athist government. 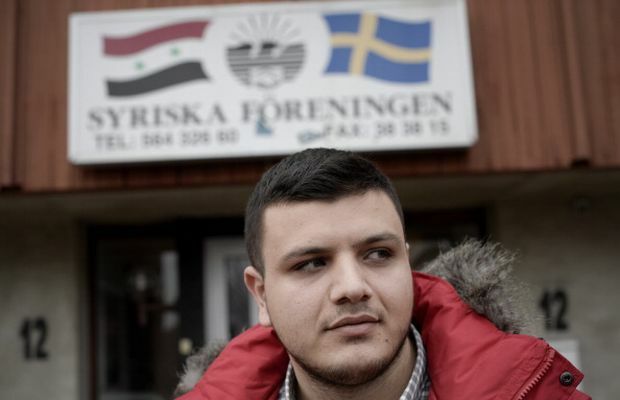 Social and political isolation ensued not only in Syria, but in the wider Arab mainstream too. The outbreak of protest was exactly that. But moments of triumph bring with them their own set of challenges. Like a rags-to-riches lottery winner, the Syrian opposition struggled in the months that followed to adjust to its newfound cause célèbrestatus. In many ways, it still has not. The opposition’s political strategy does not appear to be based on any discernible, grown-up set of rational principles, but on an overpowering emotional urge to court cheap popularity and solicit short-term funding, which has become the hallmark of the dozens of leadership bodies set up by the opposition. Everything that I had worked for as a member of the opposition, from 2005 until that day, would become redundant. All the lobbying, the conferences, the demonstrations, the television appearances and hours and hours of political meetings—which were a triumph solely on the basis that they took place—would become irrelevant, nothing more than memories of note only to myself. A new era beckoned, with new rules, new battles and new enemies, but not all will find their place in it. Mahmud Qateesh Al-Jawabra of Dera’a, the first martyr of the Syrian revolution, turned my world upside down. 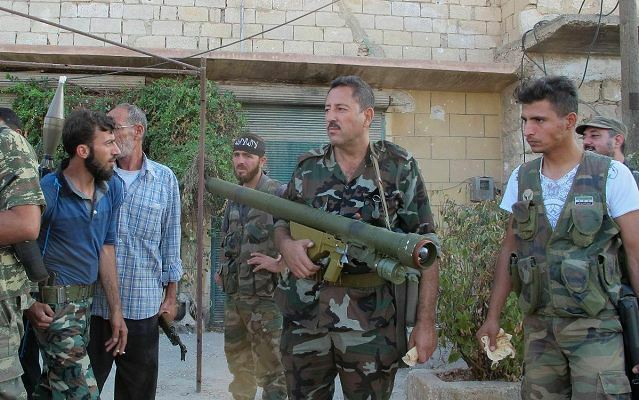 FSA fighter in Aleppo with shoulder-launched surface-to-air missile. At long last, a policy on Syria that makes sense. This week, prime minister David Cameron indicated that Britain was ready to bypass an EU arms embargo and deliver arms to Syria’s opposition fighters – much to the horror, I expect, of Bashar Assad. Syria is in the throes of civil war, and thanks largely to continuing Russian supplies of ammunition and vital spare parts, Assad’s forces have so far enjoyed superiority in the air and on the ground. Only the indefatigable spirit of the country’s citizen militia – known popularly as the Free Syrian Army (FSA) – has denied Assad the victory that he believes lies only round the corner. The FSA’s resilience has been tested and found not wanting, but it cannot be expected to hold its own for much longer without external assistance. Its lack of air cover and effective means to tackle armour has limited its capacity to end the war quickly by dealing Assad’s war machine a knockout blow. No one in Syria is calling for Nato intervention anymore; after two years of heroics all that they want is to be given the chance to finish off their dictator themselves. Recent fighting in Raqqa, Homs and Deraa has shown that loyalist soldiers, most of whom are brainwashed conscripts, are losing their stomach for the fight. When attacked, they are choosing to surrender than risk dying for a sinister tyrant who has pitted them against their fellow countrymen. That is why the Prime Minister’s decision to push through with plans to deliver battle-winning weapons to the FSA could not have come at a better time. Yes, there will be that will argue that pouring more arms into the conflict will only exacerbate the situation, and that only a diplomatic solution will do. They may be right on the latter point, but in order to achieve that elusive diplomatic breakthrough, there must first be a shift in the military balance of power on the ground. It might be worth recalling that only when the US unilaterally lifted its arms embargo on Bosnia in November 1994, which was followed by a successful push by Muslim and Croatian forces the following year, did the Serbs finally agree to sit around the negotiating table. The problem in Syria is that Assad still believes he can win. He has the support of the Alawite community (10% of population) which has foolishly tied its fate to his, and has the active support of Russia and Iran. In theory, the West supports the opposition, but in effect any support the opposition has received has been strictly of the non-lethal kind, meaning it has had little or no effect on the battlefield. This policy has only emboldened two camps: extremist elements within the opposition who say that the West is perfidious and unreliable, and Assad, who has banked on the West dawdling from day one. 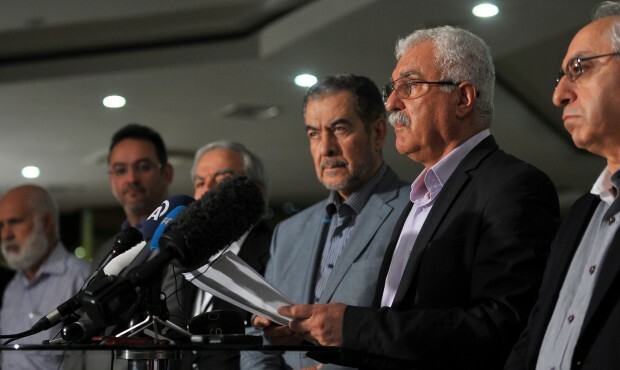 The Syrian opposition has expressed its willingness to negotiate with Assad. He doesn’t appear to be interested while his bombers are still able to reduce cities to rubble. It’s time for the MANPADS (man-portable air defense systems). One of the few winners of the Syrian uprising are the country’s Kurds. For the first time Syrian Kurds are running their own affairs independently of Damascus under the tutelage of PKK leader Abdullah Öcalan. Across a narrow belt of land along Syria’s northern border, Kurds are staking a claim to self-determination. Where the overstretched Syrian army withdrew voluntarily in July last year, People’s Protection Units (YPG) fighters have moved in, setting up checkpoints and raising the yellow, red, and green flag of Western Kurdistan. In towns such as Kobai, Amuda, Efrin, Al-Malikiyah, Ra’s Al-’Ayn, Al-Darbasiyah, and Al-Ma’bada, it is the Kurdish Supreme Committee that provides local government. The body was formed in July 2012 when the two main Kurdish factions in Syria, the Democratic Union Party (PYD) and the Kurdish National Council (KNC), agreed to run Syrian Kurdistan together. Today, popular committees are effectively responsible for providing everything from security to meeting residents’ food and energy needs. Local elections have been held, Kurdish language schools have opened, and loud political rallies have passed off without incident where once they would have ended in almost-certain arrest. Qamishli and Hasake remain the only cities in the Kurdish-majority area where regime security forces maintain a presence—but even in those, alongside pictures and statues of the Assads that remain intact, Kurds now enjoy levels of political and cultural freedoms unparalleled by those they had during fifty years of Ba’ath Party rule. Uniquely for Kurdish peoples in the region, these freedoms have been won at relatively little cost to Kurdish life and property. It is a remarkable turnaround for a people whose own rebellion in March 2004 was brutally suppressed, and many of whose members were denied Syrian citizenship as recently as last year. The decision to reverse the findings of the 1962 census and offer nationality rights to an estimated three hundred thousand Kurds, made by Bashar Al-Assad soon after the outbreak of the uprising, was dismissed by the Arab opposition as a bribe. It may well have been. Syria’s Kurds do not endorse Assad’s brutal crackdown, but neither have they offered wholehearted support to the Arab opposition. Instead, they appear to have steered a cautious middle course, guided by Kurdish national interests. How those interests are defined is the primary concern of the Syrian franchise of the Kurdish Worker’s Party (PKK), the separatist militant organization that has waged war against Turkey’s military since 1978. It has set up the PYD in Syria, and this affiliate is at the center of the Kurdish quest to capitalize on the growing weakness of central government control, more than any other party. Its strategy is informed by the PKK’s experiences in Turkey, where concessions have been won through a combination of military pressure and—more importantly—political organization. The PYD aims not to establish its own nation-state (a near impossibility in the circumstances) but to implement a form of Kurdish autonomy that can co-exist with whomever happens to rule from Damascus. It is a new path towards Kurdish autonomy—quite possibly independence in all but name—and it may just work in a fractured and war-torn Syria just as it has done in Iraq. Democratic confederalism may well be Kurdish independence through the back door. Replacing the problematic aim of cessation with a less threatening and more long-term stratagem based on demanding local political and cultural rights makes sense, but in effect it entails stripping powers away from central government and handing them over to local bodies on the periphery, run by organizations that have little or no loyalty to the nation-state. This could prove problematic for a country like Turkey. Unperturbed, the Justice and Development Party (JDP) government of Turkish Prime Minister Recep Tayyip Erdoğan sought to capitalize on what it saw as increasing pragmatism on the part of the Kurds. The rise of organizations such as the Union of Communities in Kurdistan (KCK) and the Peace and Democracy Party (BDP), both of which take their cue from guiding principles of Abdullah Öcalan, have given the Kurdish struggle a more political and civic flavor. In a sign of this changing position on Kurdish issues, prayers in Kurdish were allowed to be held for the first time in Turkey’s mosques, names of cities were changed from Turkish to their original in Kurdish and language classes were taught in schools. The JDP government even set up a state-run Kurdish language TV channel, TRT 6, and launched an initiative, the GAP Action Plan, to channel assistance and investment to the economically deprived southeast. The aim, at least as far as can be ascertained, was to build confidence in order to pave the way for a negotiated settlement with the PKK. Seasoned observers agree that the so-called Kurdish opening, launched early in 2009, has now floundered. Despite Erdoğan’s bribes, the PKK remains active; despite peace overtures, Turkish soldiers in the southeast of the country continue to die. If Erdoğan did not reap much reward for his efforts, the same cannot be said of the Kurds. They have come away with a renewed sense of purpose, and are now more self-assertive than ever, having expanded their nonviolent activities and built up their political capacity alongside their military one. In the June 2011 general election, the BDP increased its seats in the Turkish Parliament from 16 to 36, ensuring that the calls for autonomy are heard loud and clear in Ankara. Young Kurds are now encouraged to work within civil society groups and umbrella organizations that dominate the Kurdish political scene, rather than just join the PKK in the mountains. By offering Kurds a route to get involved without having to risk their lives in armed struggle, the PKK has gained new adherents and respect. “The PKK has become part of the people. You can’t separate them anymore, which means if you want to solve this problem, you need to take the PKK into account,” said Zübeyde Zümrüt, co-chair of the BDP in Diyarbakir province. As news reports this week indicate, the Turkish government still believes in negotiating with the PKK. That, however, may well be more to do with tempering the growing power of the PKK’s sister organization in Syria, the PYD, than in any genuine desire to offer tangible concessions. Öcalan’s philosophy may still prove to be effective in wearing down the Turkish state in the long run, especially if the JDP proceeds with attempts to transform Turkey into a multi-ethnic state. In the short to medium term, however, Turkey remains too strong and too centralized to buckle under the pressure of Kurdish agitation. Syria offers a more realistic prospect for the implementation of democratic confederalism. For a start, it is much weaker than Turkey, and contains a Kurdish minority large enough to sustain calls for autonomy. Then there is the geopolitics: as Assad gets progressively weaker, powers as divergent as Iran and the US will be courting the Kurds as a counterweight to the Sunni Islamists. Its neighbors in Iraqi Kurdistan provide a working model to emulate because the Iraqi region runs its own affairs independently of Baghdad rather well, having avoided the sectarian bloodletting that engulfed the rest of the country. 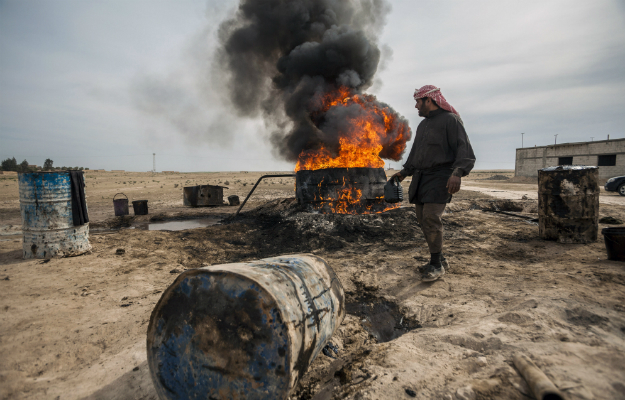 There is also an energy interest, with the YPG already providing security for the smooth running of oil installations in Al-Hasakah Governorate. The fact that Syria is an artificial state whose borders were drawn by Britain and France with little attention paid to ethnic and tribal continuity is a further, historical, reason why democratic confederalism may succeed there but fail in Turkey. But there is a simpler, more practical logic to Öcalan’s philosophy. Put simply, his adherents have delivered modestly in Turkey and spectacularly in Syria. Their organization and political acumen has enabled them to trade armed opposition for de facto autonomy, in the process sparing Kurdish towns and populations the fate of cities like of Homs and Aleppo. They have also rightly identified that to apply pressure on Ankara, a solid foothold in Syria was essential. Regardless of the outcome of the revolution, it will be unlikely that Western Kurdistan will lose self-administration rights anytime soon. In contrast, the Arab opposition has brought death and destruction upon its towns and populations, with no guarantee of a favorable outcome or of having the necessary capacity to administer areas under its control effectively. Once the regime in Damascus collapses, it is doubtful whether the sacrifices of (predominantly) Sunni Arabs will compare favorably with the rewards that they will reap. The Kurds of Syria have taken the cash in hand and waived the rest. Last week, the leaders of the fractured Syrian opposition movement met in the Qatari capital, vowing to put aside petty squabbling and create a more inclusive body that would better represent the country’s democratic aspirations. The new organization, the brainchild of U.S. Ambassador Robert Ford and liberal opposition politician Riad Seif, was rather awkwardly dubbed “the Syrian National Coalition for Opposition and Revolutionary Forces” — or “National Coalition” (NC) for short. Its purpose is to attract the sort of international recognition and support that has eluded the now discredited Syrian National Council (SNC) — and thus to boost the opposition’s chances of ousting the regime of President Bashar al-Assad. On the surface, there are grounds for optimism. In stark contrast to the SNC, which was dominated by exile politicians, the new group has reserved a majority of seats for Syrians closely linked with the rebel movement — including delegates from the revolutionary councils formed in liberated parts of the country. This week President François Hollande of France held an impromptu press conference to announce his country’s recognition of the NC as a legitimate representative of the Syrian people. This followed a collective decision taken by the Gulf Cooperation Council (GCC) sheikhdoms to extend a similar level of recognition, coupled with promises of hundreds of millions of dollars of aid to the opposition. So it must have been a terrible disappointment when U.S. President Barack Obama declined to oblige. “We are not yet prepared to recognize them as some sort of government in exile, but we do think that it is a broad-based representative group,” he said of the new coalition soon after his reelection last week. “One of the questions that we are going to continue to press is making sure that that opposition is committed to a democratic Syria, an inclusive Syria, a moderate Syria.” In other words, the NC has yet to prove itself before seeing any tangible rewards. Obama was not alone in his cautiousness. Arab League ministers meeting in Cairo on Sunday urged regional and international organizations to recognize the new body as “a legitimate representative for the aspirations of the Syrian people” but stopped well short of a full recognition. This may in part be due to Saudi reservations about the NC, which it views with suspicion given the prominent role played by Qatar and Turkey in its creation, and what it perceives to be the exclusion of pro-Saudi opposition figures from the unity talks. While Al-Jazeera provided wall-to-wall coverage of proceedings in Doha, Saudi-owned Al-Arabiya looked distinctly uninterested. The Russians too are not happy; not only were their Syrian opposition friends in the National Coordination Body (NCB) not invited to Doha, but the NC’s blank refusal to negotiate with Assad cuts against the grain of Russian thinking on how to resolve the conflict. The picture is a mixed one at best. But there’s another problem that’s been largely overlooked in the news reports, and it’s one that could threaten to hobble the opposition movement in the critical months ahead. The much-criticized SNC has been sidelined by the establishment of the National Coalition — but it continues to exist. 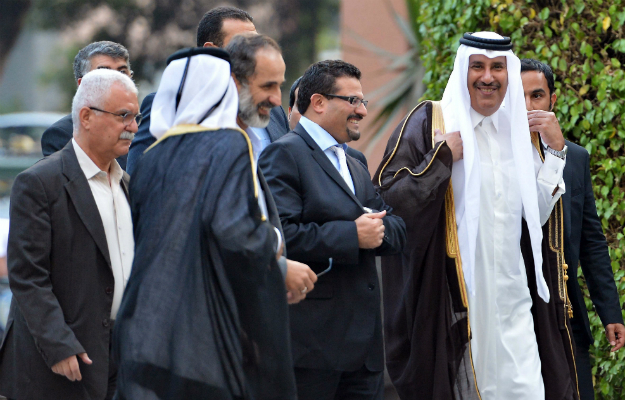 Just two days prior to the start of the unity talks between the SNC and other opposition representatives that effectively created the National Coalition, the SNC held a low-key “restructuring” conference, also in the Qatari capital, under the watchful guise of the country’s foreign minister, Sheikh Hamad bin Jassim Al-Thani. The purported aim was to elect a new leadership. Why the SNC, widely believed to be defunct, should bother with holding an election when a new opposition coalition was due to be created just days later, is no mystery. The reason has a great deal to do with the rising power of the Muslim Brotherhood. The SNC leadership election resulted in defeat for the leading figures of the group’s liberal wing — people like Washington-based politician Radwan Ziadeh. Ex-SNC President Burhan Ghalioun did not bother to contest the election, while another liberal figurehead, Basma Kodmani, resigned from the SNC in August. Needless to say, no woman and no Alawite made it to the general secretariat. The Muslim Brotherhood marshaled their votes and did what their opponents expected least: it booted them out of the SNC by democratic means. In the end, the Brotherhood was left controlling some 75 percent of the members of the general secretariat. The picture is even more stark in the Executive Committee, the highest body in the organization: seven out of eleven members elected are either Brotherhood members or affiliates. Having failed to win a seat in the general secretariat, the leftist Christian, George Sabra, was chosen by the Brotherhood to head the SNC as a figurehead, but only after he accepted MB hardliner Faruk Tayfur as his deputy. But why go to all the trouble when the same effort could have been focused on building up the NC, the supposedly new-and-improved formula for opposition unity? “The NC was the idea of Riad Seif and Ambassador Robert Ford,” says long-time SNC member Abdulrahman Al-Haj. “The SNC came under tremendous pressure from the U.S. to accept their plan, but we could not simply abandon the SNC without knowing that the NC is going to work.” That the SNC, refurbished under Muslim Brotherhood guidance, should still be regarded as a useful contingency by a significant swath of Syria’s opposition suggests that they lack commitment to making the NC work. As a result, there are now two opposition coalitions, the NC and the SNC, that are meant to do the same job. In theory, members of the SNC have been given 40 percent of the seats in the new organization, but the group is allowed to maintain its independent structure and policy-making. What’s more, the SNC is now dominated by the Muslim Brotherhood, which condemns the NC plan as a U.S.-inspired plot to force the opposition to the negotiating table. And yet, the MB’s top brass sit at the head of the table in the NC. This was not the result that Ambassador Ford was hoping for, and may well explain why President Obama appeared so far unconvinced by the new body. Meanwhile, the SNC is still alive and kicking, and thanks to its recent re-structuring, it has swelled its ranks so that even those wishing to by-pass it will struggle to find the manpower to create a credible alternative. With the Muslim Brotherhood at its helm and Qatar continuing to bankroll its operations, it will survive where many “credible alternatives” will fall at the wayside. Whether any of this helps the Syrian revolution defeat Bashar al-Assad is highly unlikely. None of this is what the NC leaders were hoping for almost a week after they had signed the draft agreement on Saturday to great fanfare. A tone of desperation was clearly discernible in a statement issued by the new NC president Muaz Al-Khattib earlier this week, when he urged Syrians inside the country to hold up placards reassuring the U.S. president of their support for the new group. Khattib’s move may have been naïve, but it shows that he understands one thing quite well: If the NC does not pick up momentum early on, including that vital recognition from the U.S., it may go the way of the SNC. Or worse.